The story is pretty important to the plot, not that you immediately realize. 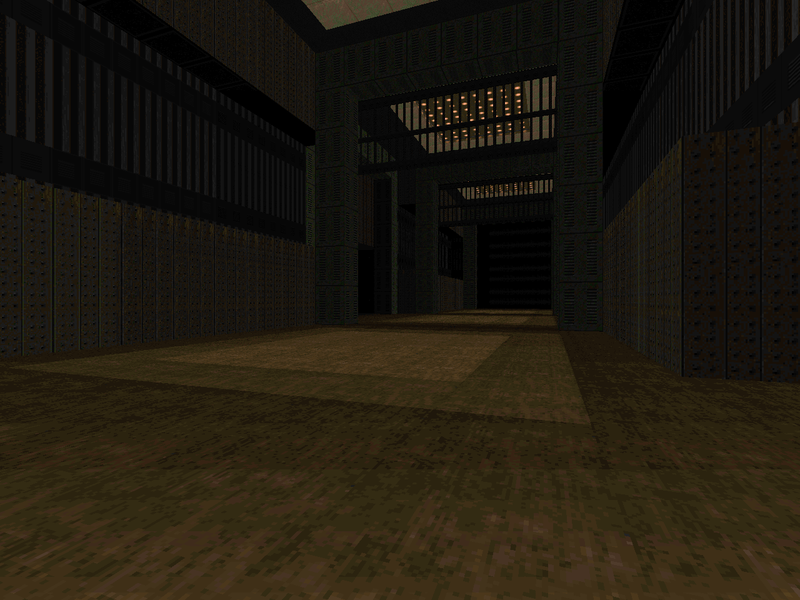 After the events of Doom II, you return to Earth, only to find that... nothing happened? 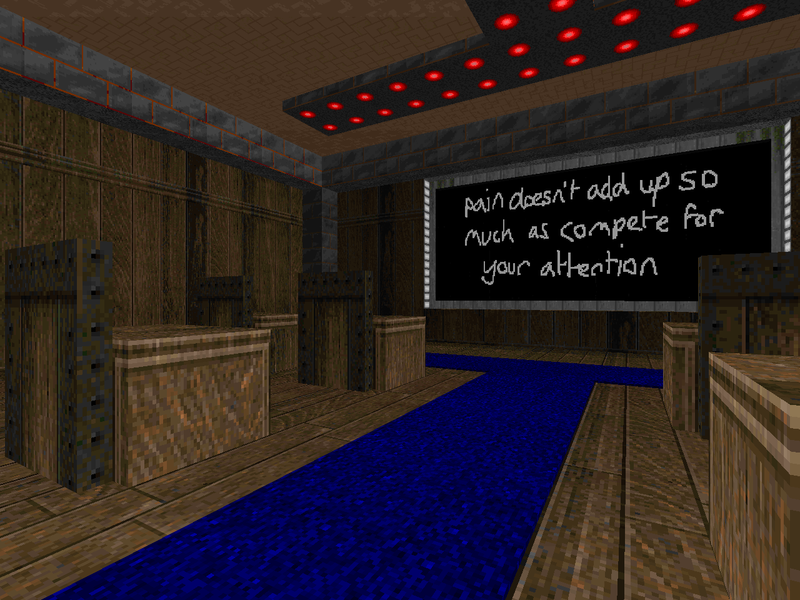 It isn't exactly spelled out, but it seems as though Doom II - or even Doom - never occurred, and your vociferous insistence earns you a short trip to quarantine, where you hold it together until your inevitable psychotic break. 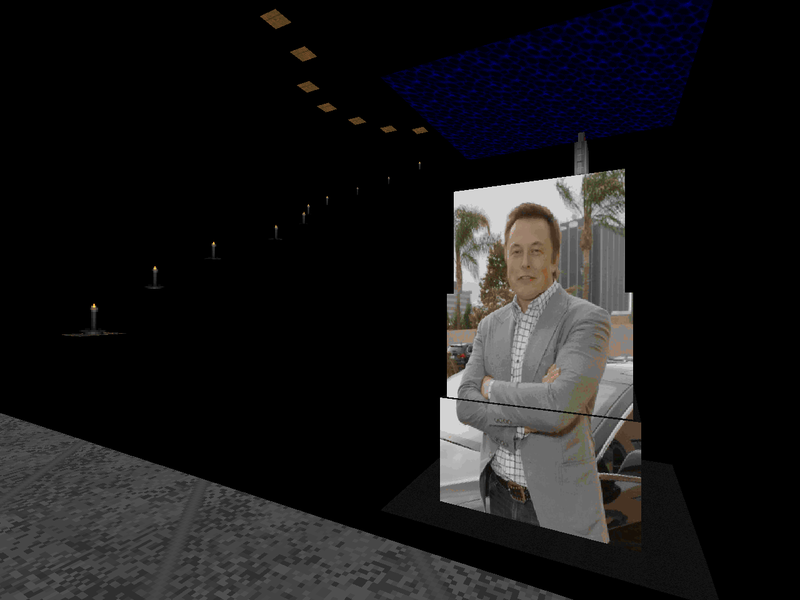 Your new reality seems wrought from an unholy conglomeration of Phobos, Deimos, and Hell, and you don't even get to play with your trusty combat shotgun. "Oh no, you say. OH NO." And, uh, if you're at all interested in making your way through this map without any hints, I'd stop reading right now. 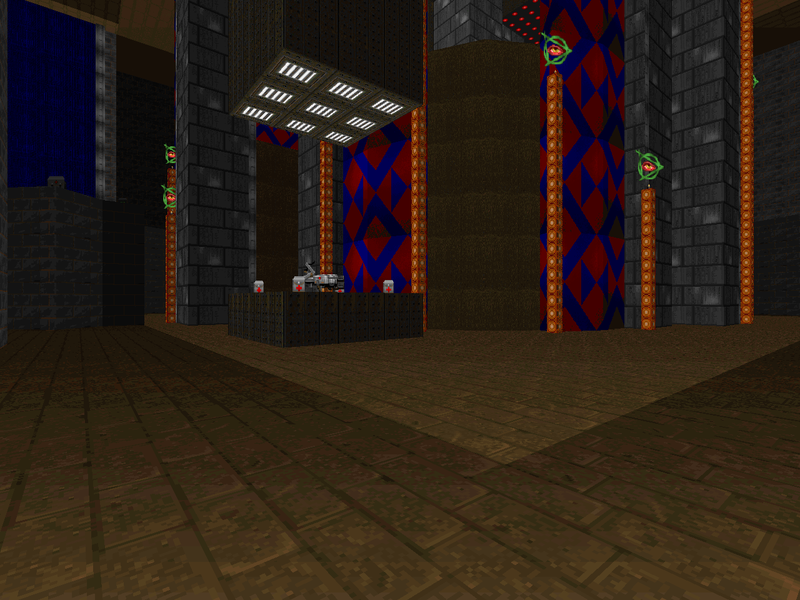 The opening area is a nightmare mashup of the Phobos and Deimos techbases with an enormous blue color gradient wall. It's jammed full of Doom trash monsters who in the setup prove themselves to be anything but as you race around trying to find some high ground and something other than the godforsaken pistol. There isn't a whole lot of shotgun ammo to start with, and you won't have the chaingun until you're almost done with the entire thing, so place some tactical emphasis on those barrels and don't be afraid to take the easier stuff down with the pea-shooter. Your quest involves... activating those eyeball shrines, which will open your next brush with surreality. That's only half the battle, though; those odd bits of red light panels that are peeking out from behind the walls raise a staircase to the mystery panel, which unlocks a small but crucial element required to bypass the quarantine room. After that, it's back to normal with a monster-less classroom area, but considering that you entered the zone by descending down a staircase of blue and red diamonds and crossing a bridge built from the sky, all bets are off. This is where you get the red key and, potentially, your first brush with the quarantine chamber. It's better to see it now than later since the experience sets up the blue key as your end goal and shows you that the author is prepared to boot you out of the level before having seen the whole thing... a significant gesture of trust. The true solution involves hunting the paintings of animals that line the walls for a switch that you won't be able to access if you don't play with the red lights. 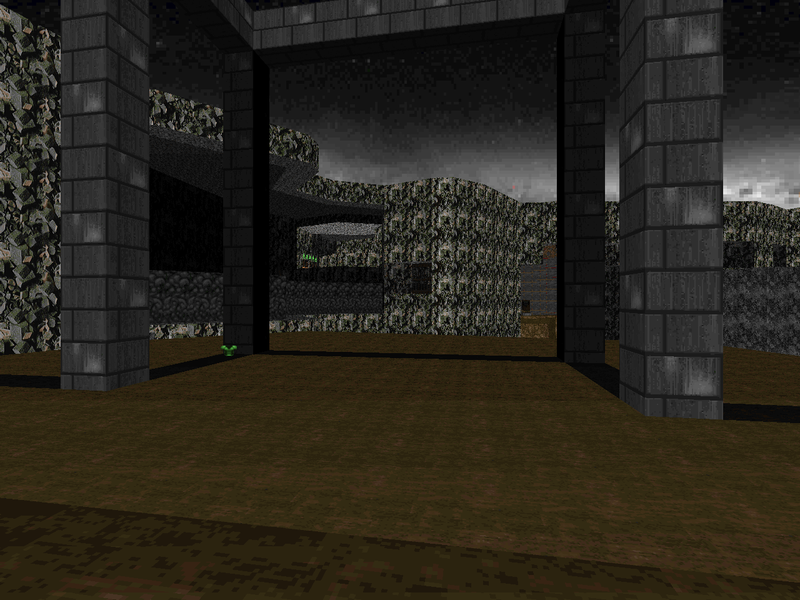 Then, you can start on the wide expanse of fiery Hell that dominates the level's eastern half. After traipsing through an enormous base tunnel, of course. 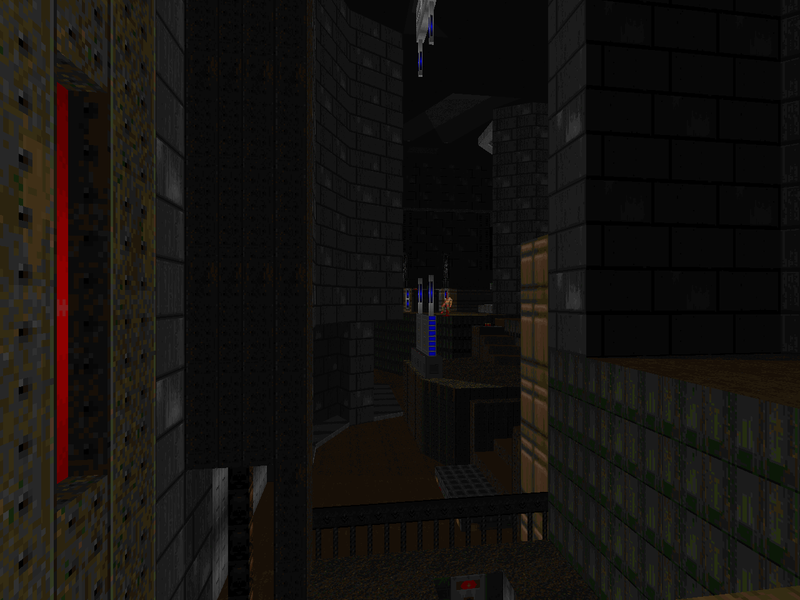 The eastern segment is a level in and of itself, built around precarious platforming segments while you're dodging imp fireballs... and Cyberdemon rockets. You might get caught up in all the glamour and completely miss the first instance of Sierra-brand puzzle solving. At the very end of your epic journey around the basins of fire and through the cramped mansion, you'll find the yellow key, which unlocks another route to the quarantine chamber. You're also offered a tantalizing glimpse of the blue key and a fortress with a locked door. Entering the fortress requires accessing each of the blur sphere pillars, which must be done via a might-as-well-be-a-secret teleporter. Whatever you may have done in the level, you can find the second, but you'll need a rad suit to make it there alive. The first must be accessed before making your trip across the ledges, since I'm 99% sure that there's no way of returning to the northwestern terrace, at least until it's time to do your victory lap. 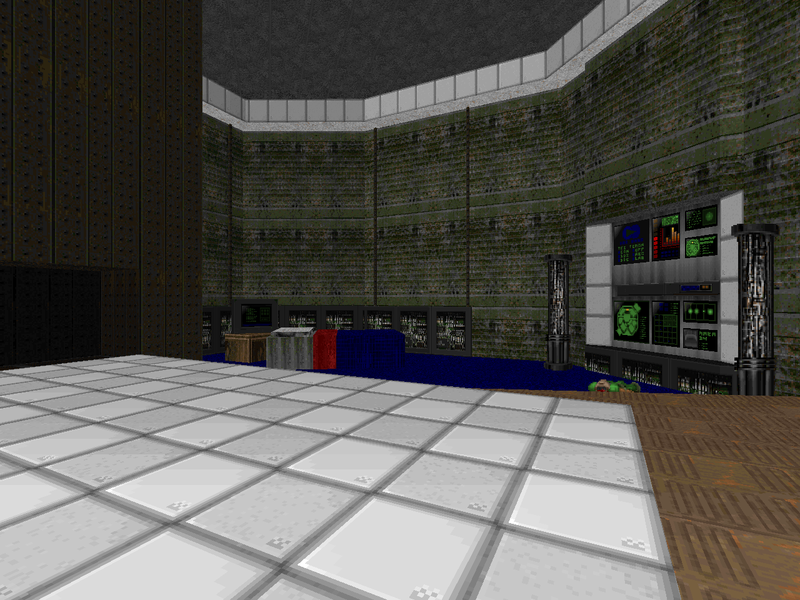 It's behind the metal door in the shotgun guy alcove that overlooks the spiral staircase / cave thing to the north. If you can endure the opening nightmare, there is a ton of map for you to sink your teeth into. The only problem is that there is a bit of metagaming involved if you wish to experience the entire map, seeing as how there are two points where you can lock yourself into the "bad" ending and, indeed, no ending at all if you should fall into the area on the other side of the red key pillar. It's... a demanding experience in more than one sense. 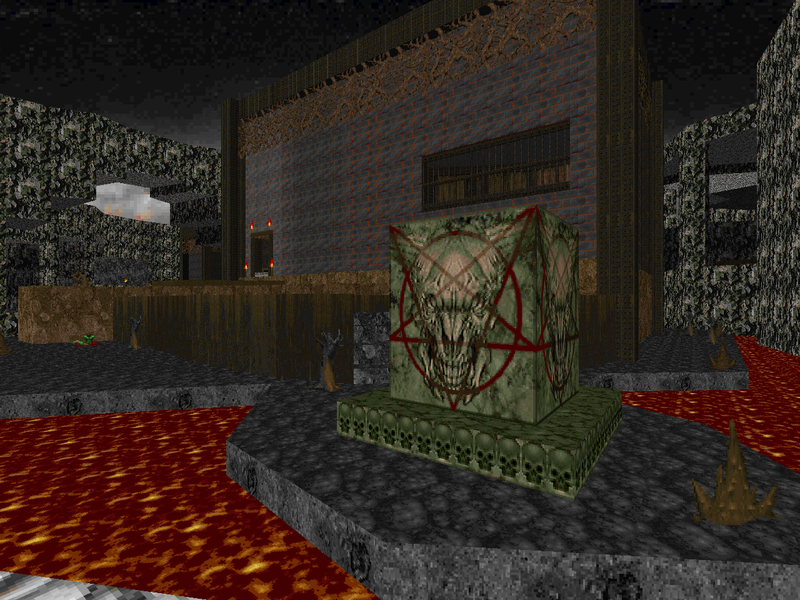 I can't even say that the combat is that particularly hard once you get a good head going in the beginning, it's just a literal nightmare and most players will not be prepared to run and work your way around the horde because we have been programmed to think of Doom as a straight up action game, and damn anyone who dares think otherwise. 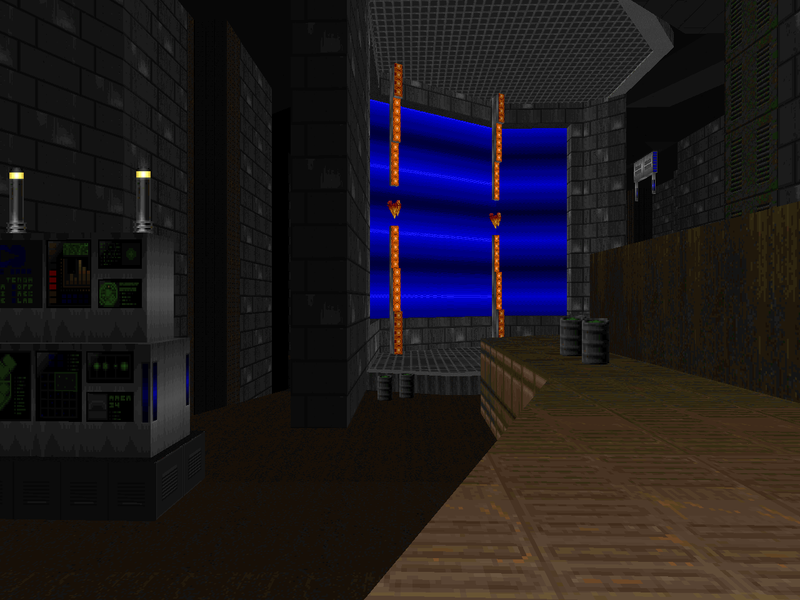 As I mentioned, the first time a player exits this level - if at all - will involve the quarantine chamber, which contains the corpse of a space marine. 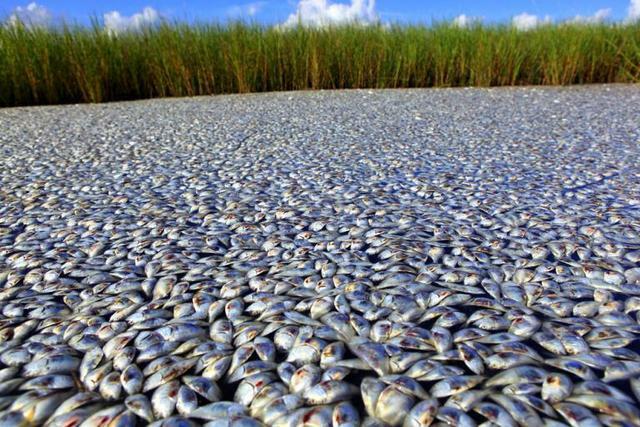 An ill portent? By Doom's standards, you are victorious, but the message received - "you were not meant to do THAT" - speaks of something else. If you leave the level aside at this point, then you might as well have died, commending the marine to a sleep eternal. There is no more confronting the nightmare - just a final act of hopeless despair, THAT which you were not meant to do. Whether his death is permanent or just the next step in the cycle of nightmares is left up to the player. I think that Sheer Poison is fantastic. You probably won't, but that's alright. There are plenty of other stories in the good book of Doom to enjoy. Regardless of any of the bumps I found in the road, this one is almost entirely for me. I was going mad, so I played this level and it looped me to insanity and back to normal. I can dream again. Totally WAS NOT expecting this to get a Caco. Seriously? It'll be a very controversial pick I'm sure. highlights / menu / and wiki-style nav footer are all done, because that's really easy. I finally got around to playing this one over the past two days. This was really brilliant stuff. I, much like you, am a huge Jim Flynn/Bob Evans fan, and I love puzzles, so this was right up my alley. I managed to beat it fair and square without any hints. 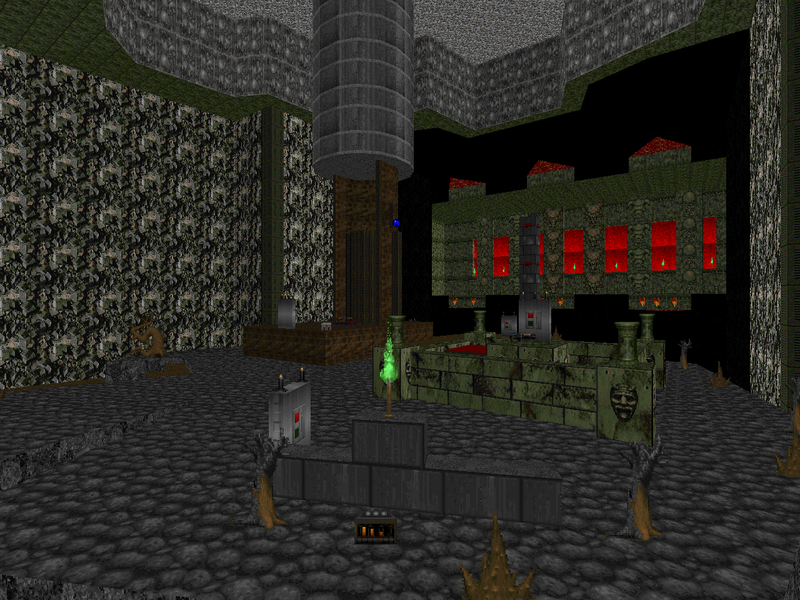 I hope yakfak makes more levels; he's clearly talented both as a mapper and as a musician. in a world full of synthetic Doom diamonds, Sheer Poison is a true gem.